Picking the right shampoo for your hair can be daunting. The first important factor, of course, is whether or not it cleans well. If you are only shampooing once or twice a week for instance, you want an effective cleanse, but you definitely don’t want something that will strip your hair. After that, you want to focus on result. Are you seeking shine? More volume? Repair? All of these things can be addressed starting with your shampoo. Finally, you want to confirm that a few things are not in your shampoo. Like parabens and aggressive sudsers like Sodium Lauryl Sulfate and Sodium Laureth Sulfate (also known as SLS and SLES). 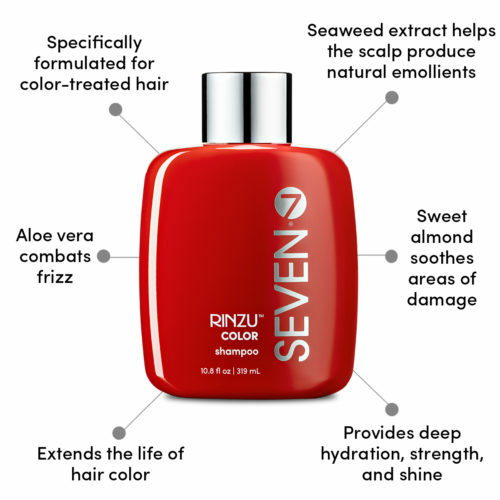 As part of our commitment to clear beauty, SEVEN® haircare products are all paraben and sulfate (SLS/SLES) free. 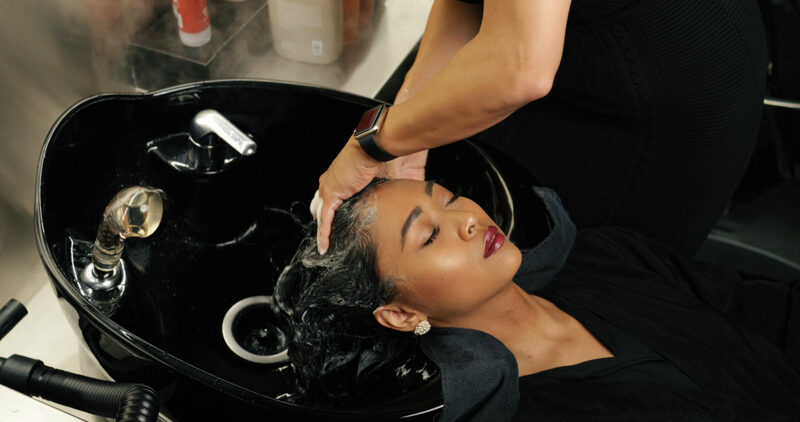 You can get the skinny about sulfates and your hair here, or read below to determine the perfect shampoo for your hair type. How to pick the right shampoo. Now that you know what to consider, where to start? For instance, if you have color-treated hair, what is more important to address first? Damage, dryness, or color retention? If you want volume and shine, which should you choose? The general rule is addressing damage first. Then think about prevention. Color that lasts longer, or blonde that isn’t brassy means fewer visits to the salon. Ultimately, those extra weeks you get between coloring visits means healthier hair in the long run. Finally, go for the volume and sparkling shine. 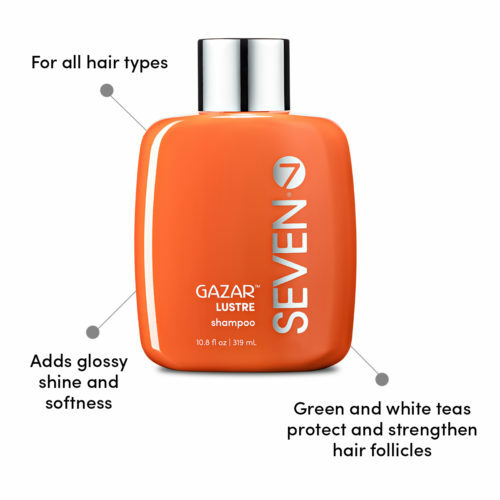 Luckily, SEVEN® products often do double duty. All of them help with shine, for instance, and many give a bit of oomph to flat hair. We also recommend alternating different shampoos from one wash to the next. Here is how to pinpoint your new favorites and figure out how to start styling from the shampoo bowl. 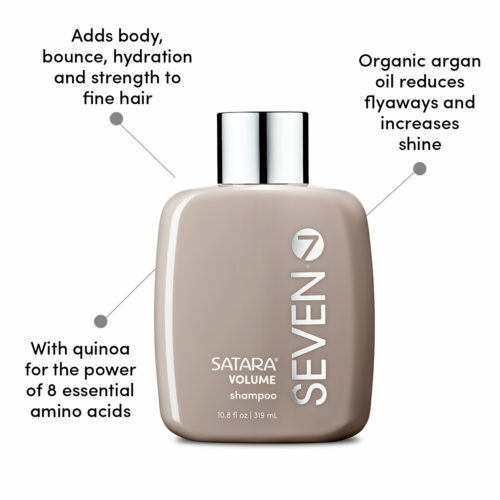 The perfect clean: SEVEN® shampoos. 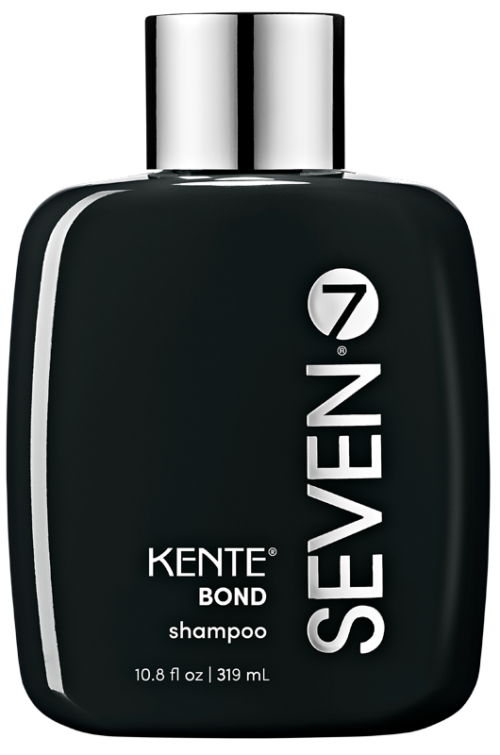 BOND – Your path to hair repair. Using positively charged ‘smart ingredients’ as a potent foundation for healing, BOND reparative shampoo strengthens dry, damaged hair while gently cleansing. 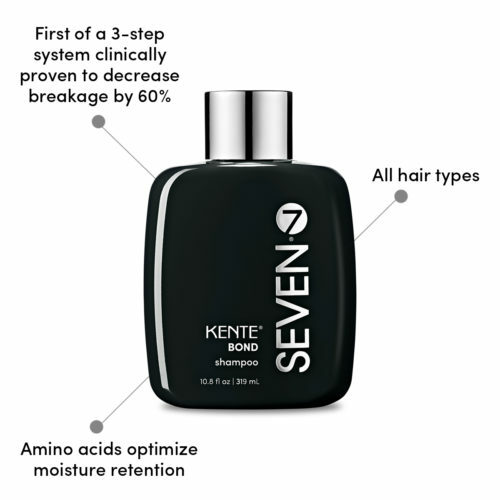 This is our most advanced reparative cleanser and should be your first stop on the road back to healthy hair. 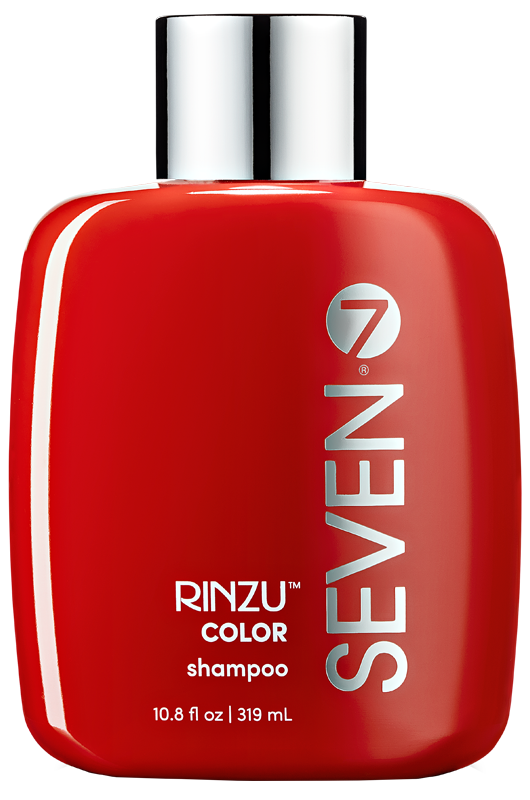 COLOR – A high moisture shampoo for color treated hair and more. 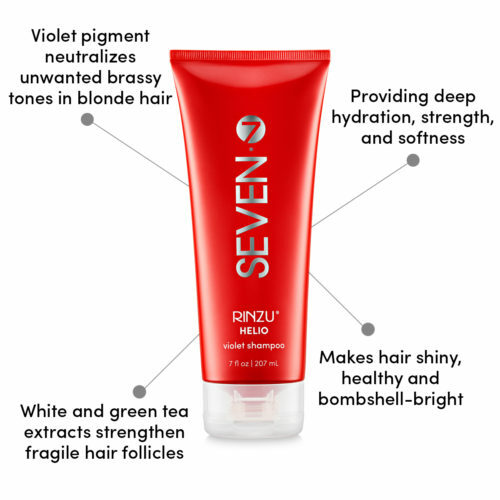 COLOR is specifically formulated to preserve your hair color, and anyone who has paid hundreds of dollars for balayaged perfection should want this because getting a few extra weeks out of your color is money in the bank. What you might not know is that COLOR is the most moisturizing of our shampoos. Rich with sweet almond, aloe and quinoa, COLOR shampoo should be in regular rotation for anyone with super dry locks. LUSTRE – High shine glossy hair shampoo. LUSTRE is a classic. The primary benefit you will get is shine (and who couldn’t use a bit more glimmer), but it is also a great option if you are a frequent washer. 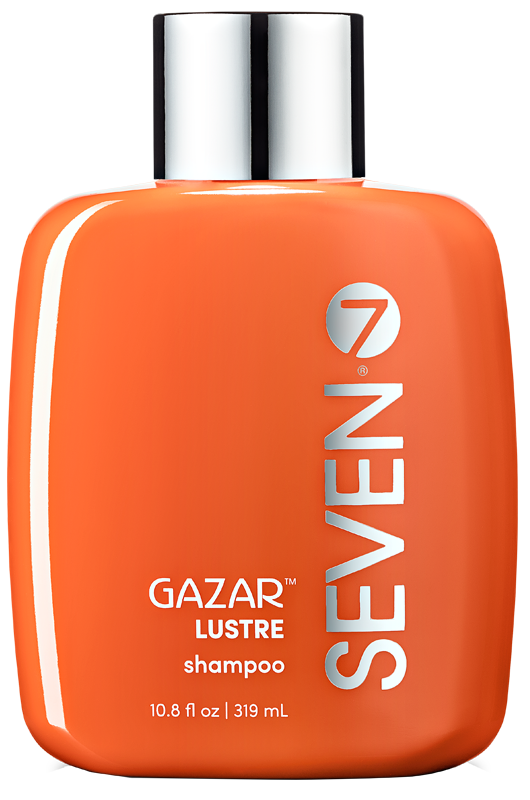 Its lime and goji berry fragrance is as refreshing and sunny as the bright Gazar® packaging it comes in. HELIO – Attention all blondes! The (better than) purple shampoo for blonde hair toning. 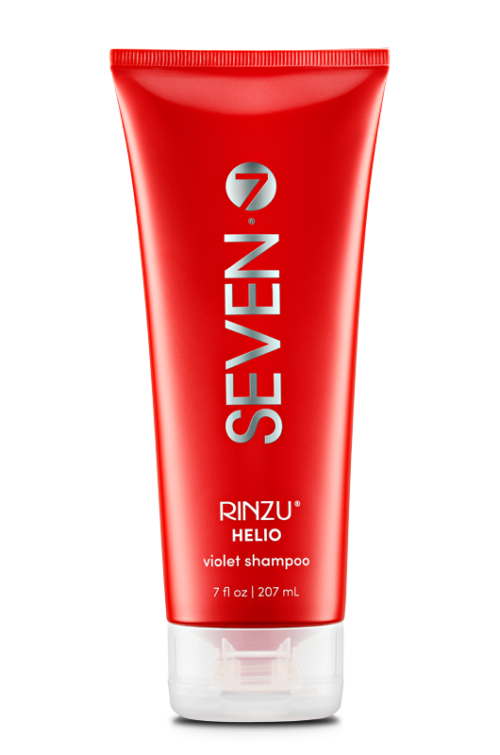 With deeply saturated color, HELIO violet shampoo is as powerful as it is elegant. Whether you are blonde all over or have highlights, you can keep your blonde hair bombshell-bright, extinguish brassiness, and neutralize yellow tones without sacrificing softness, hydration, and shine. Get to know more about HELIO here. And see its blonde toning effects in action here. 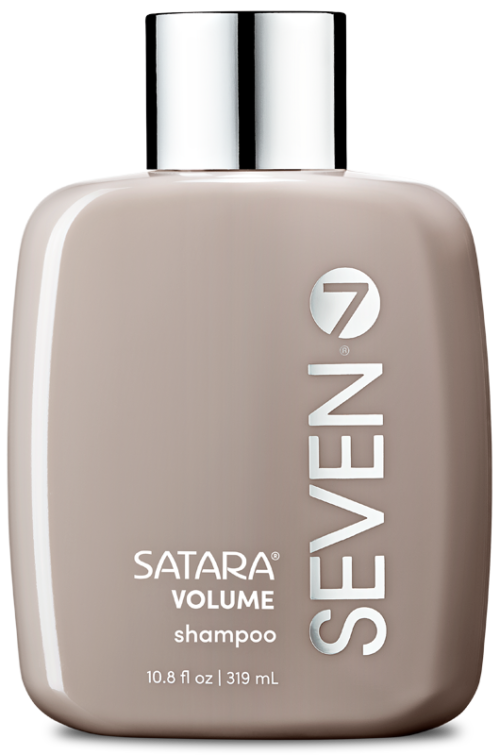 VOLUME – Big, ultra clean, high volume hair. Lightweight and a great cleanser, this celeb stylist favorite has a rich, gentle lather that cleans, amps up volume, and hydrates. If your scalp tends to be oily, VOLUME or LUSTRE glossy hair shampoo will be great options. Or do a first shampoo with VOLUME for deep clean and lift, then follow with BOND, HELIO, or COLOR to get extra healing and color care results.